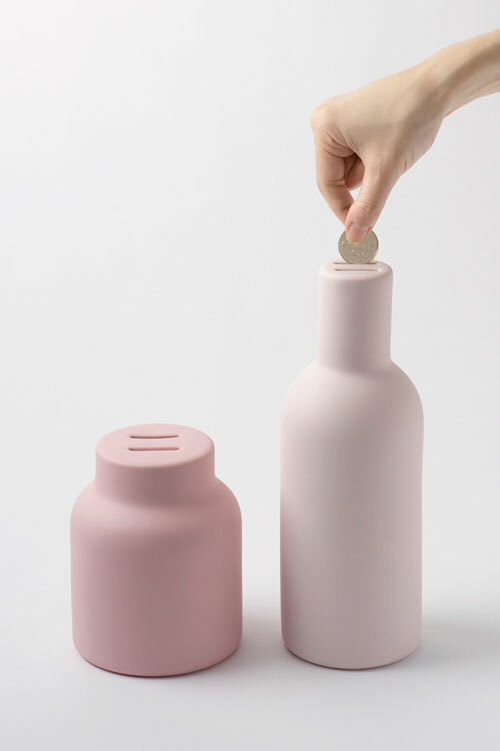 Design firm Nendo just unveiled a new Piggy Bank they designed for DesignTide Tokyo 2010 Event. 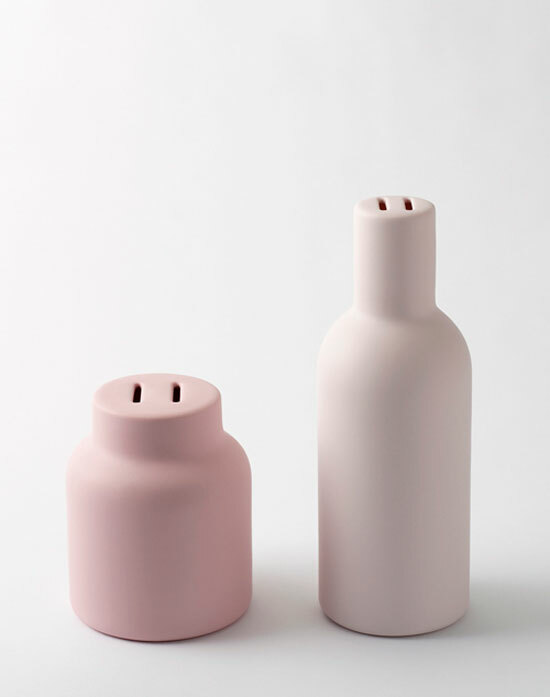 The ceramic piece is part of an exhibition called “Piggy Bank Collection” in the Shinjuku department store “Isetan”. 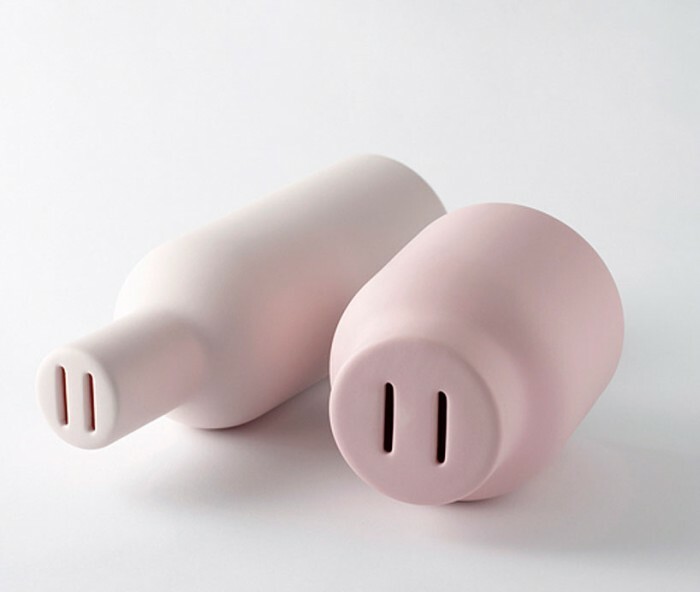 Unraveling the history of the piggy bank, we learn that the name dates back to medieval Europe, when unused coins were saved in household jars made of unglazed reddish clay, or ‘pygg’. A play on words from ‘pygg’ to ‘pig’ led to the piggy bank, and the familiar porcine objects we know today. The pyggy-bank takes this history as its design concept offering savers a pig-snouted bottle and jar made of unglazed fired clay in which to place their hard-earned coins, it exists somewhere between ‘pygg’ and the ‘pig’. If these things become a production piece, you can bet we’ll have it at our store. We’ll keep you posted! 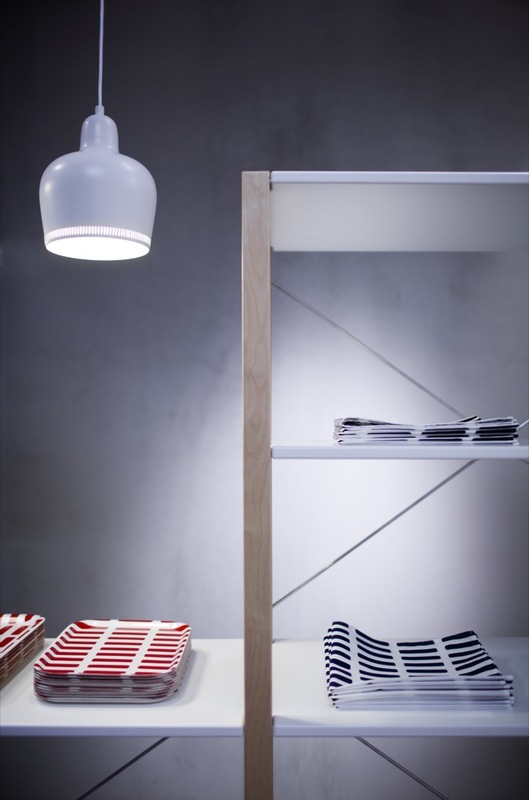 One of our favorite designers, Harri Koskinen, designed the new Artek store in Södermalm (Stockholm). It’s pretty spectacular. 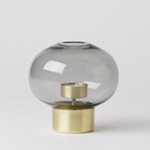 We use the same pendants over our desk, except in white. We were pretty obsessed with the case goods we had made for the store, so I really appreciate the design that went into this unit. It solves so many problems in such a small piece. Truly brilliant. 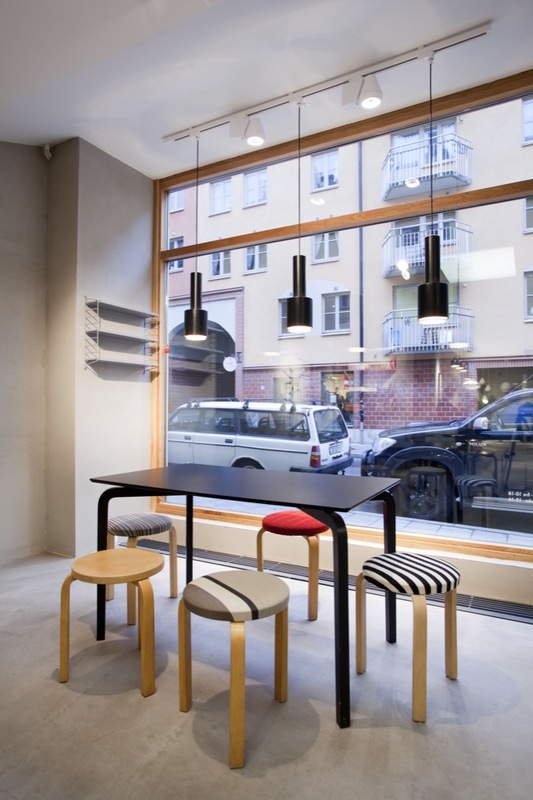 Lento dining table, upholstered Artek stools and string pocket system. 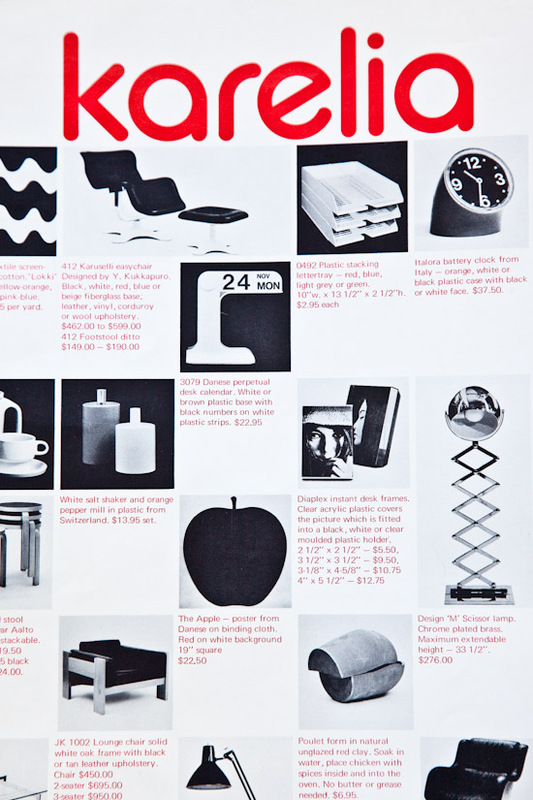 Shelving unit by Naoto Fukasawa. 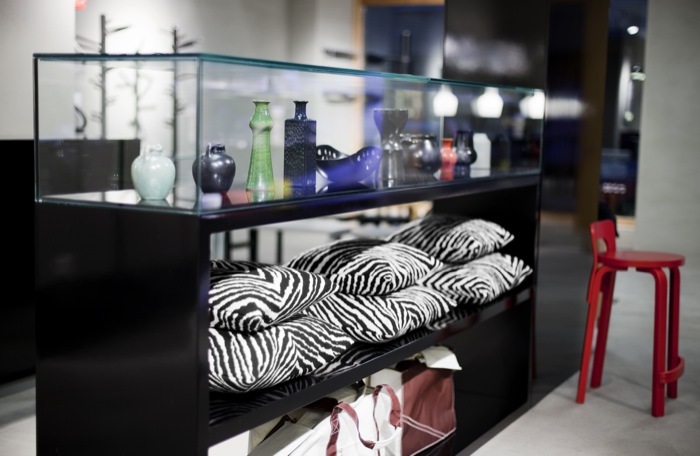 My favorite part of the showroom: a concrete alcove with wave like steps, contrasted with warm Aalto goodness. Juli and I have brought up tea time on numerous occasions at the store. It seems I send Juli to go get us little treats almost everyday of the week. 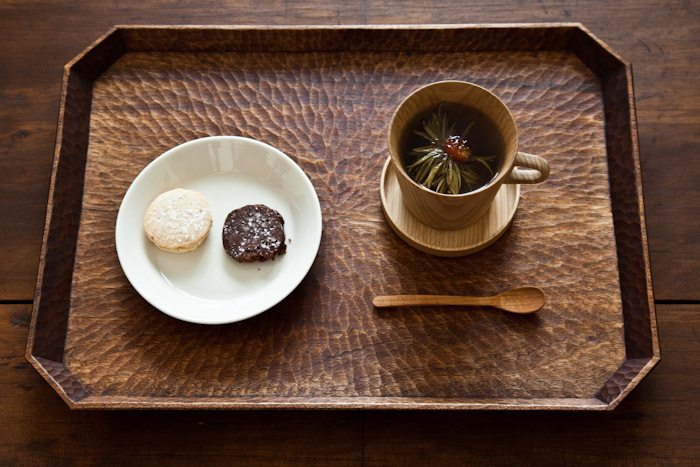 In the spirit of using things in the store for our home we borrowed the last wooden tray from the Masanori Oji exhibition. 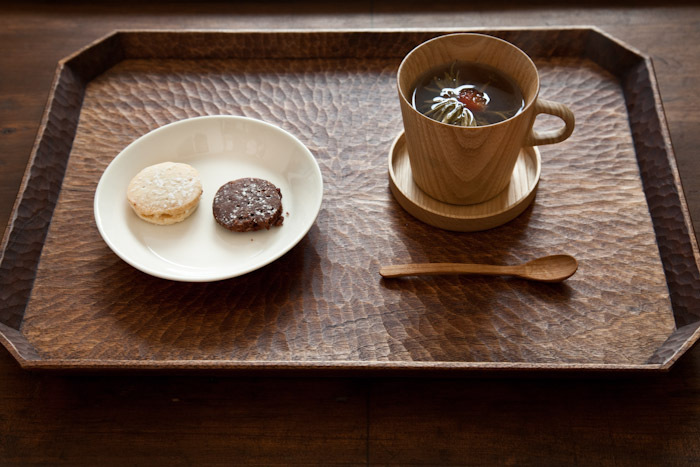 It’s hand carved by craftsman Susumu Seto, and made from Japanese walnut. 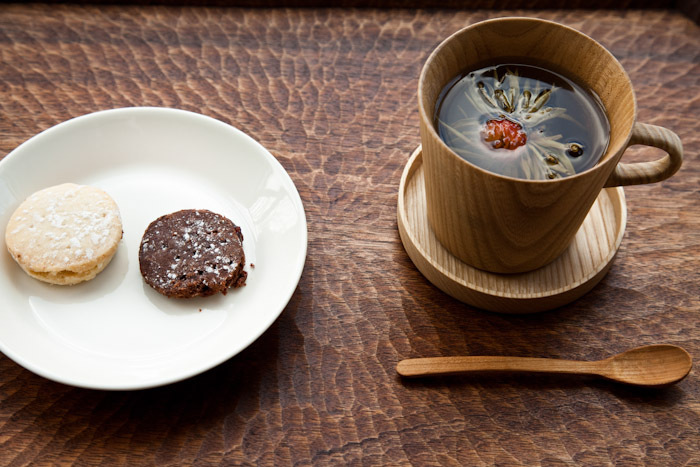 In case you’re interested: On the right is our Kami mug ($75), and new to the shop the Kami schale ($60), a set of three nesting coasters which can also be used as lids. 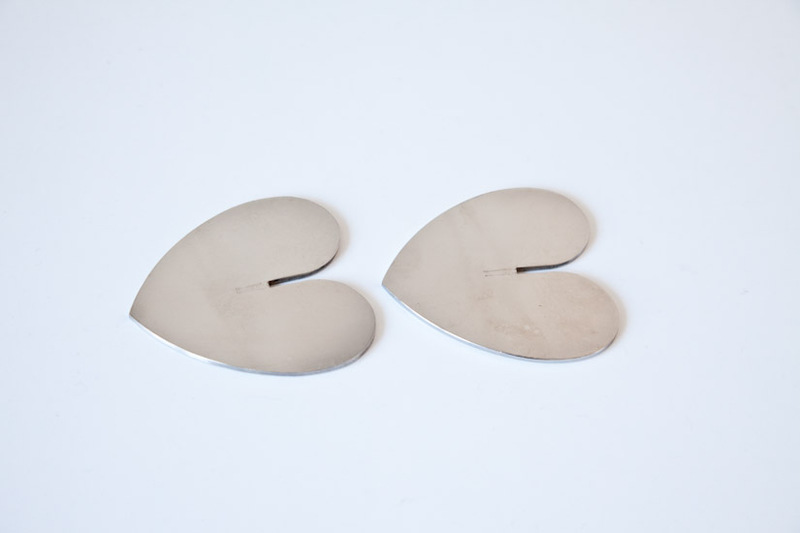 The little plate on the left is by Kaj Franck from his Teema series ($14). 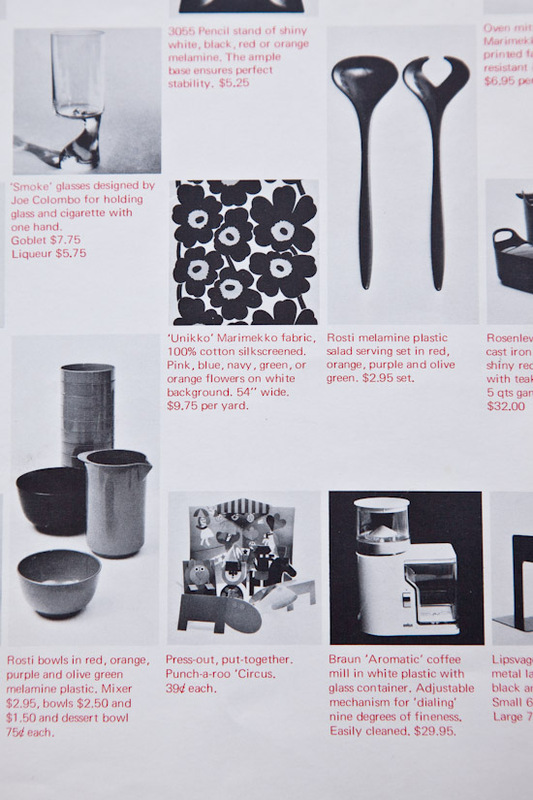 Before there was Mjolk, there was a groundbreaking modernist store on Bloor Street West Front Street East called Karelia. 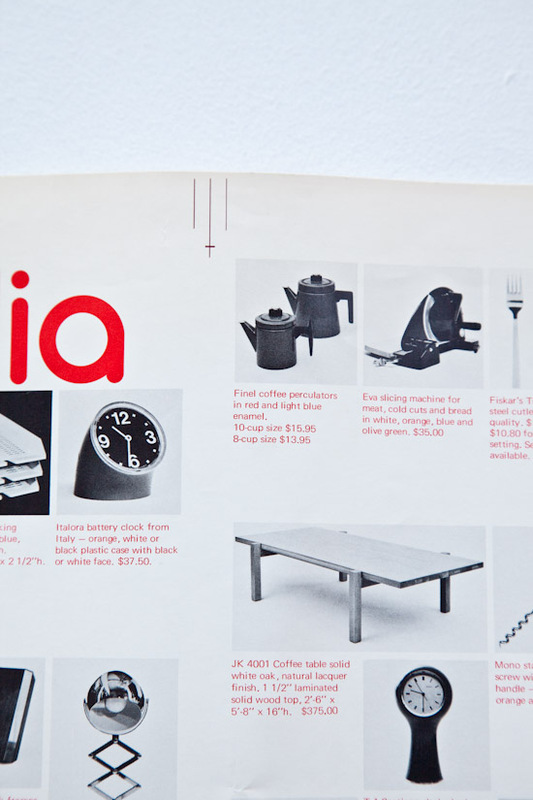 It was a store that introduced modern Finnish design to Toronto. 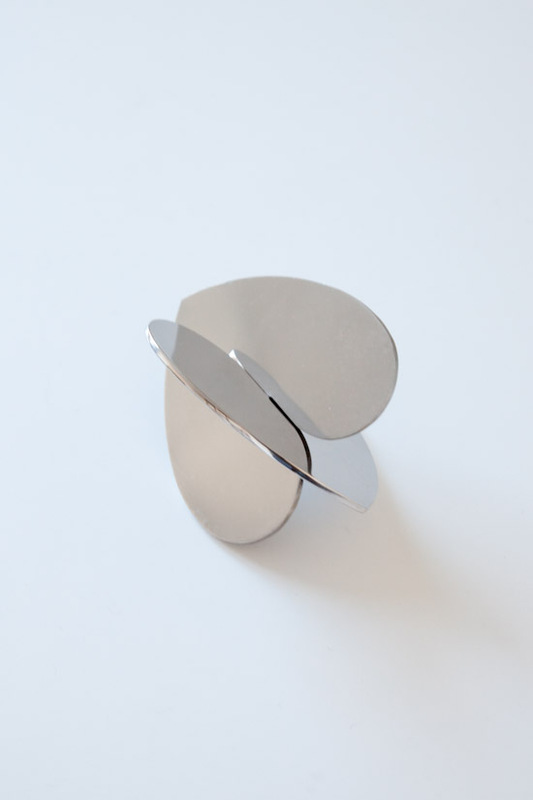 You could find high-end pieces by Yrjö Kukkapuro and Eero Aarnio, designers that still haven’t returned back to the Toronto modern retail scene. 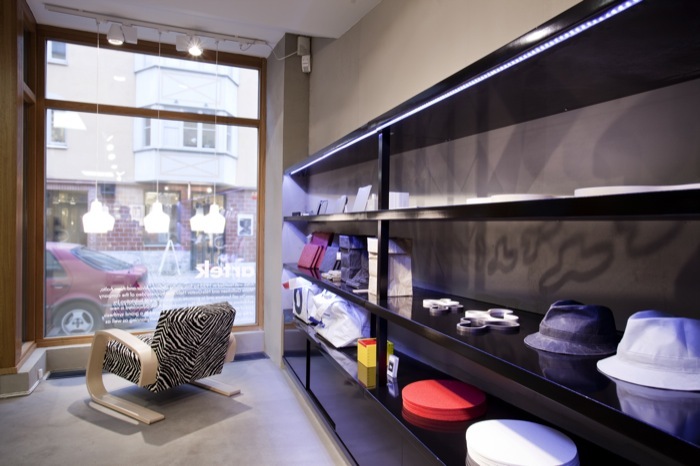 The store existed before our time, but we have a lot of customers and former employees of Karelia that come in our store and reminisce about its time as a store. Let me back track a little — Every Monday on our day off we visit a neighbourhood in the city. Today we trekked over to Leslieville, on Queen St. East. We visited Jake at one of the best stores in the city, Machine Age Modern. 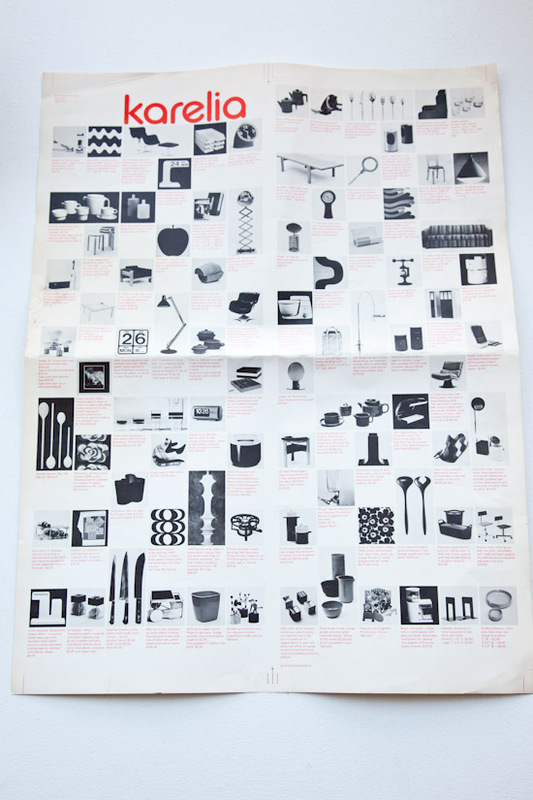 After talking obsessively about Tapio Wirkkala he took out an old poster he had from Karelia. He mentioned he had visited Janis Kravis, the owner of Karelia who is still working as an architect in Toronto. 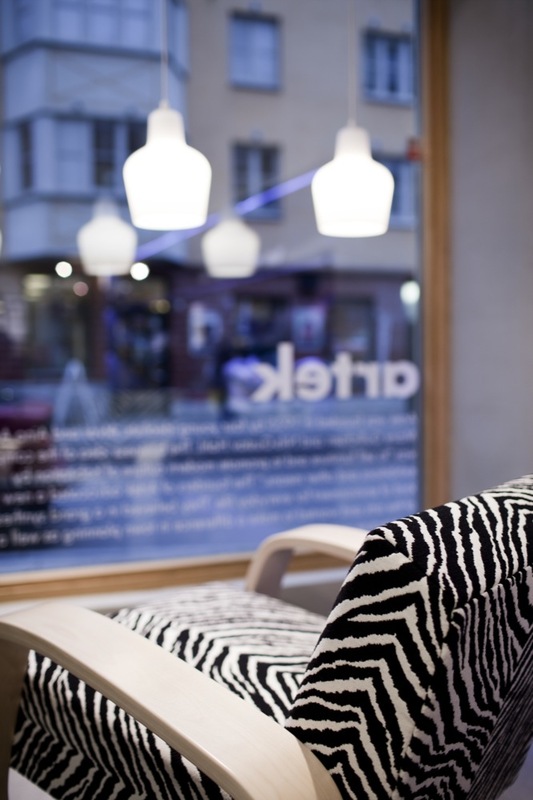 He told me the owner has a whole wall of modernist glass, one of which was signed “Thanks for having me over for dinner – Alvar Aalto” A one of a kind piece created by Aalto to mark the occasion. Imagine getting Finel coffee percolators for $15.95? Jake gave us an early wedding gift, which are little mementos from the old Karelia store.